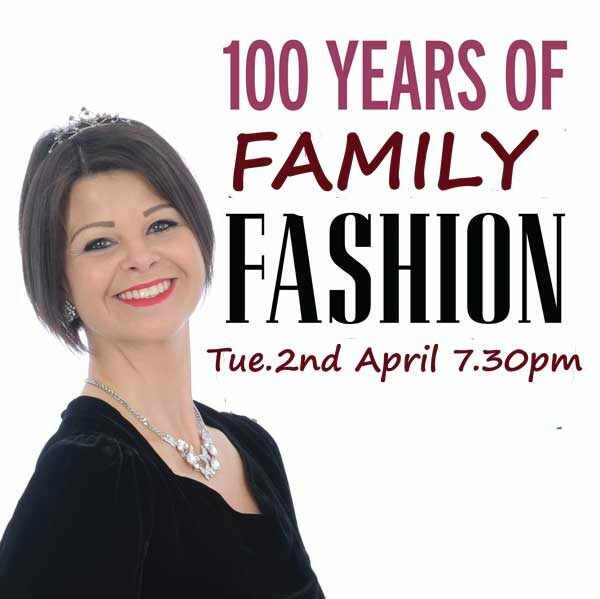 100 years of Family Fashion . Hilary is well-known in the area as an excellent and enthusiastic speaker/performer. Her talk on costume through the ages coincides witha major costume exhibition of the same title at Bailiffgate Museum all this summer featuring many stunning creations by leading designers.